here are various ways to get rid of them, but one of the quickest and most effective is to use one of the the best backpack leaf blower that your budget will allow. All-year round, you are going to find twigs, leaves, and other unwanted debris on your pathways, drive, and lawn, with this being especially troublesome as autumn and winter come along. Using a backpack leaf blower to get rid of them makes sense, particularly if the idea of raking, brushing and shoveling doesn’t appeal to you. Before choosing a specific model, it is important to appreciate the main features that you need to compare, and fully understand the most important aspects of owning and using a backpack leaf blower. 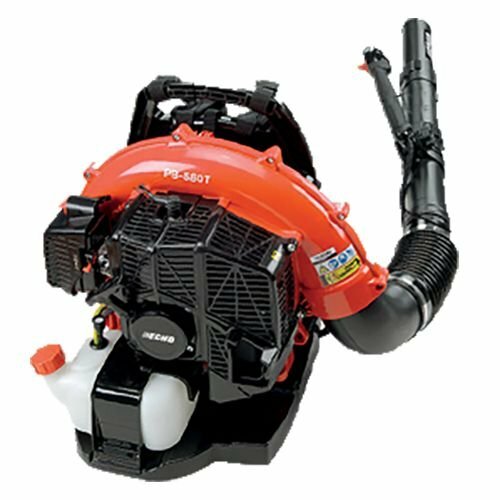 Backpack leaf blowers are all engine driven, however, the types of engines, and what powers them, can vary. The simplest ones are battery powered with the obvious advantage that you do not have a power cord getting in your way. However, a full charge only last 20 -30 minutes or so, which may not be long enough for larger gardens. In many cases, there’s also the added cost of a battery and a charger to factor in. Next, there are electrically powered backpack leaf blowers, which require power extension cords. One downside to these is the distance you can work to is limited by the length of the cable unless you add further extensions, which adds more cost. Finally, we have gas-powered engines, which are the most common ones used for backpack leaf blowers. You can work with these as far from your house as required, and there’s no cord to trip over, however, there are some facts about them you need to aware of. Backpack leaf blowers will have either a 2-stroke or 4-stroke engine powering them. The main difference between them is that with a 4-stroke engine you can fuel it with normal gas, however, a 2-stroke engine is fueled with a mixture of gas and oil. You need to mix these before adding them to the fuel tank. Alternatively, you can buy it pre-mixed. Another consideration in relation to gas backpack leaf blowers is the exhaust fumes which they will inevitably emit when the engine is running. Apart from ensuring that you wear a face mask to avoid breathing these in when using the machine, you will also need to be aware of local and federal regulations in relation to the environment. In general, 4-stroke engines usually have cleaner emissions than 2-stroke ones, but even so, you need to ensure that it complies with the rules relating to environmental standards where you live. 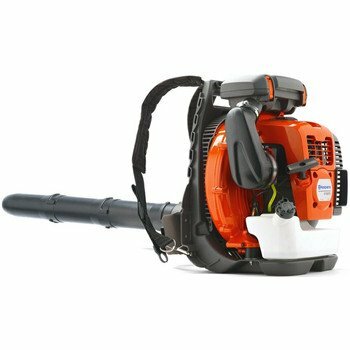 Regardless of what powers the engine, when switched on, a backpack leaf blower can generate a lot of noise. Again, you want to address your own well-being first, by wearing ear protectors when you are using it. As with air, noise pollution is covered under several state and federal regulations, with some local ones being very stringent indeed, so check what applies in the city where you live. 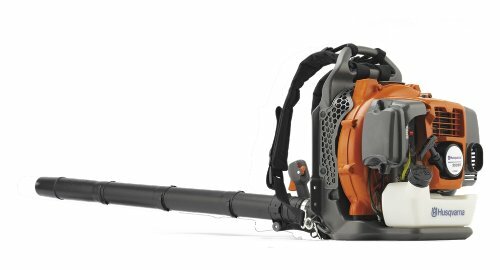 Most backpack leaf blowers have the engine housing attached to a frame with straps like the sort on backpacks you’d wear for sports, or for hiking. Once you have put it on, you hold the blower nozzle with one or both hands and then clear leaves as you walk. This is where you will need to assess whether the weight of any particular leaf blower will be comfortable for you. Their weight can range from around 15 lbs., to over 30 lbs., and although the backpack makes it easier than carrying it by hand, you still need to remember you will have this load to carry for 30 minutes or more. Some lighter versions powered by electricity may have the engine built into the wand, and the backpack is a large bag for collecting leaves. You might have gathered that these blowers also operate as a vacuum for clearing the leaves up after you have blown them into a pile. It uses a 65.6cc engine which is branded X-Torq, and this is designed to provide more power than standard leaf blower engines. This engine is also engineered to be more fuel efficient so that should cut down the cost of running it. This engine also produces reduced emissions, and thanks to its commercial-grade air filter, it can be operated for longer periods, allowing it to be used for more comprehensive clearing jobs. The user’s comfort is well catered for with several features contributing to that. The handle has soft grips, so your hands feel comfortable, and it has anti-vibration dampeners which limit the discomfort that may be felt when the engine is running at full speed. You should not have to stretch or bend over to reach the ground when clearing leaves, thanks to the long nozzle which measures an impressive 48 inches. The final comfort feature, and possibly the most important for many, is the harness. It has extra-wide shoulder straps that reduce the pressure you might feel in that area. It is also fully adjustable, so you can tighten or loosen it to the most comfortable position for you. This leaf blower from Poulan Pro will appeal to those who want a powerful leaf blower, which is easy to use, and comfortable to carry around while they work. Operating the blower is done via an ergonomically designed throttle handle mounted on the nozzle assembly. This allows you to adjust the power output of the blower and set it on cruise control; this enables you to lock the speed so that you do not have to constantly press the on/off button. This can alleviate some of the stress on your hand muscles. Although the frame is engineered to be very tough, this does not mean that the unit is particularly heavy. It weighs only 22 lbs. and is certainly not the heaviest leaf blower you could buy. When you are using it, you should find it very comfortable thanks to the wide and cushioned backpack straps, which are also fully adjustable. The whole point of using a leaf blower is to clear leaves, grass cuttings, and other debris, but this can only be achieved if there’s enough air power coming out of the nozzle. 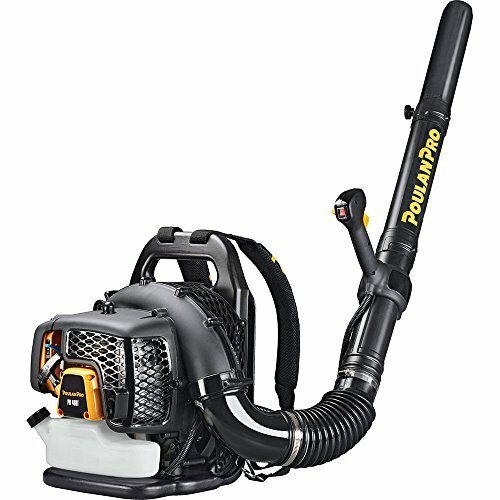 That should not be a concern with this Poulan Pro leaf blower, as its 2-stroke engine can produce enough power to blow air out at 200 mph, and 475 cfm. The motor is housed within the main unit which is held with both hands and operated by switches that are in the handle assembly. When you need a blast of air there is a power boost button which can be used to give you extra airflow. It can generate up to 400 cfm, and 200 mph airspeed, so there is plenty of power to blow leaves and other debris into a pile. Once this has been achieved, you can now switch the machine over to be a vacuum. 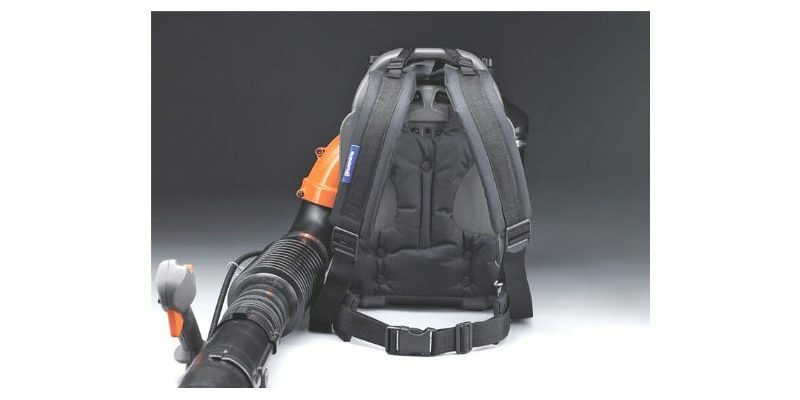 This involves connecting the vacuum bag to the unit via the hose and then using the shoulder straps to carry the bag on your back. The vacuum bag has a rather unusual set up as there are no zippers to open and close it. Instead, it uses a ‘roll and clip’ method which is effective but may take some getting used to. The main benefits of this bag are its size, meaning it can hold more leaves, and the ease of emptying it once full. The fact that you can vacuum up leaves, clippings, and other debris, means you do not have the job of raking, shoveling, or brushing them up for disposal. Very light – Only 11.1 lbs. One of the most difficult aspects of choosing which backpack leaf blower to buy is balancing the need for a powerful airflow, and the amount of weight you must carry due to the engine required to produce that airflow. This Husqvarna air blower balances these two very well, with a powerful engine, but not a particularly heavy unit to carry. In fact, the weight of the machine is 22.5 lbs., which is low when you consider there are some in this category which can go above 35 lbs., but do not produce a proportionate increase in airflow. Airflow from this blower is strong at 494 cfm, and a speed of 180 mph. This is produced by Husqvarna’s bespoke X-Torq engine, which has lower emissions than many other 2-stroke engines. This means your machine’s impact on the quality of air around you is reduced. Getting the engine running so you can start clearing leaves, is a relatively easy process. This uses an air purge system, which removes air from the carburetor, meaning the engine should start quicker. Not only is this a powerful leaf blower, it is also a very comfortable one to use too. We’ve already mentioned its relatively low weight which helps, but the ventilated harness also plays a big part. It has wide shoulder straps so there is less downward pressure and a waist belt so there is less movement from the engine pack when you are using the blower. 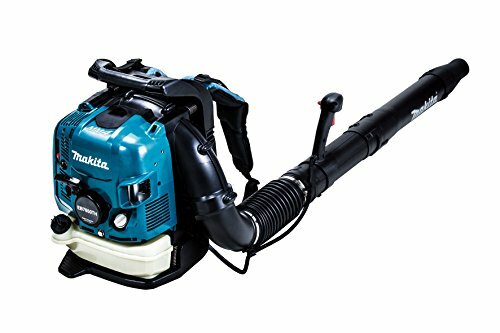 If comfort is one of the overriding features that you want for any backpack leaf blower you buy, then this one from Makita should meet that requirement for you. It has padded shoulder straps, which mean the pressure on each of your shoulders is significantly reduced, and the fact they can be adjusted means it will sit just right for your height and size. Another way in which the design of this machine means it can be used comfortably, is the adjustable handle. This allows you to have it in the most comfortable position for you when you are holding and directing the nozzle. The tube length can also be adjusted so that you are not stretching or bending down for the nozzle outlet to reach where you are blowing debris. Powering the blower is a 75.6 cc, 4-stroke engine. The immediate advantage of a 4-stroke engine is there’s no need to mix fuel as it can run on just gas. This also means it is a quieter engine, and a more fuel efficient one. The airflow output from this leaf blower is very impressive. It can produce 670 cfm, and a speed of 200 mph, which is up at the very top specifications for this type of tool. This means it will blast loose almost all the debris you are trying to remove, including ground in leaves. 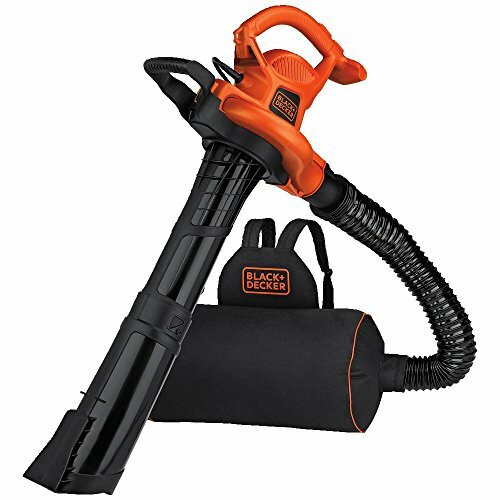 You might think that being able to produce this type of powerful airflow, might mean its weight is significantly higher than other leaf blowers, however, this weighs just 29 lbs., which is not the heaviest of these tools by any means. This leaf blower from Echo has a 2-stroke engine powering it, so you will need to mix gas and oil when fueling it. This engine has been certified as ‘Stage 2 Compliant’ in relation to its emissions levels, so it should be cleaner and more environmentally friendly than many others. Low emissions don’t equal low power, and with an air output of 510 cfm, and 215 mph, it will deal with most stubborn debris, and wet leaves which refuse to budge. When you are stirring up leaves there is always a danger that one or more of them get sucked into the air intake, however, a leaf guard in front of the inlet should avoid this problem. The sturdy frame ensures that the machine is durable, and a 5-year manufacturer’s warranty would appear to underline that durability. Within the frame’s design are built-in dampeners, which should eliminate any discomfort you feel from the vibration produced by the engine. Carrying and using this air blower should prove to be a comfortable and strain-free exercise. Firstly, you have the backpack which incorporates padded, adjustable straps so that the unit sits comfortably on your back. The backpack also has vents which allow air to circulate, and this will be particularly welcome of you are using the blower in hot weather. The handle has the throttle control built into it, so you can adjust the output of the blower easily. We were very impressed by all the backpack leaf blowers we reviewed and each of them has some fantastic features that whoever uses them will appreciate. The one which we have decided is our best backpack leaf blower is the Poulan Pro 967087101. This is a very powerful blower that also provides a high level of comfort to any user who has it strapped to their back. This is helped by the adjustable straps and their padding. The power provided by the engine is noteworthy as well, with a 200-mph airspeed.